This thread is for all issues and problems with Interstellar Operations. Change to: "(During subsequent End Phases, a sensor that has become inoperative in this fashion will reactivate if its 1D6 roll yields 2 or higher.)" Page 316, Combat Tactics Section. "The three tactics are Offensive, Defensive and Standard.". "The three tactics are Aggressive, Defensive and Standard.". "If the roll fails, the Formation reduces any damage it receives by the same multiplier, and the damage it deals is reduced by –0.2"
"If the roll fails, the Formation increases any damage it receives by the same multiplier, and the damage it deals is reduced by –0.2." Under Aggressive Tactics paragraph, there is a missing period at the end of the paragraph. "If an engagement occurs a zone with a Moon, the center zone of the engagement map is treated as being Moon and follows all the same rules for Combat Units in the SSRM Central Zone." "If an engagement occurs in a zone with a Moon, the center zone of the engagement map is treated as being the Moon and follows all the same rules for Combat Units in the SSRM Central Zone." "Training and supply must be resolved before any Military Actions in that Phase." "Training must be resolved before any Military Actions in that Phase." "A fortified Combat Command reduces the damage it takes by 10 percent for ground." "A fortified Combat Command reduces the damage it takes by 10 percent for ground units." "The attacking force must stay on world at least one full Turn (or four ACS turns) to interrupt the pacification." "The attacking force must stay on world at least one full Turn (or eight ACS turns) to interrupt the pacification." page 75 under the "Clan Enhanced Imaging Neural Implant"
"The Clans' unique Enhanced Imagining (EI) neural implant"
"The Clans' unique Enhanced Imaging (EI) neural implant"
Page 48 lists "Endo-Composite (BattleMech) Structure" and "Superheavy Endo Composite (BattleMech) Structure"
Change "Endo Composite" in the second one to "Endo-Composite" to match how its written in TacOps. Also a standard need to be set for "Endo Steel" IO lists it as both "Endo Steel" and "Endo-Steel" depending on the section you're reading at the time. Both the Combat Neurohelmet and Clan Neurohelmet seem to be missing from the table. Need to be added in. 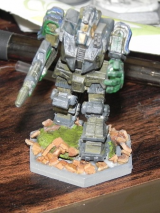 MechWarrior Cooling suit has a Prototype date of ~2680, and a production date of 2500. Star League was good, but not that good. Dates need to be fixed. TO lists 2500 as the date for the suit, so seems the best fix it to change the Prototype date to ~2480. 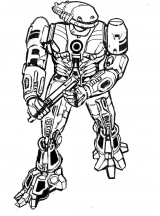 MechWarrior Combat Suit has a prototype date of 2690, a production date of 2790, and a common date of 2520. Common date needs to be set to something after 2790. Kurita is missing the Superior Black Ops ability. On Pg 351 (nor anywhere else) is there a "Worlds Value Table"
Not sure which one is correct, but one of them needs to be updated. Step 4: Add Armor - Section is missing how many armor points you actually get, with the answer only found in the example and by comparing with the primitive DropShip construction. All armor mounted on a Primitive JumpShip—including the “free” armor provided by the vessel’s SI value—must be multiplied by 0.66, rounding down to the nearest whole number. Tandem Charge warheads has (FS) in its production (faction) column but no production date. So, it needs a production date to go along with the (FS). Availability rating is XXEE so early/mid clan invasion maybe? The ProtoMech internal structure and armor table replicates the partially erroneous table from non-errata'd Tech Manual. p. 353, Creating Combat Commands. To create a new Combat Command, a player must first determine its composition. Each new Combat Command must have 1 ’Mech regiment (and can have no more than 1 ’Mech regiment), but beyond that, its additional attendant Units need not follow the standard for that Faction. The new Command’s exact composition and Weight dictates its cost. The cost is modified based on the Experience Rating (Green or Regular) of the Command and its Loyalty Rating (Questionable, Reliable or Fanatical). This cost is then doubled if the Command will have attendant JumpShips, which has an effect on the transportation cost for the unit (see Movement, p. 358). Once this total cost is subtracted from the Faction’s remaining Resource Points, the new unit can begin its existence on any world within your Faction except an ‘Other’ world. It is available for immediate use, such as combat and transportation. Mercenary Combat Commands may not be created by the player Factions using these rules. The gamemaster may, at his own option, decide to create or introduce new mercenary Combat Commands if desired. These forces follow the basic ISW rules. Joshua wants to raise a new unit on his Capital. 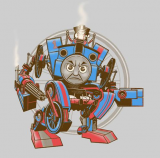 He wants it to consist of a single medium ’Mech, two light Aerospace wings, one light Armor regiment, and one infantry regiment. The total cost for this is 54. While he would like this unit to have a higher Experience Rating, the highest quality permitted within the system is Regular, which would double the cost to 108 RP. Joshua considers it adequate for the new unit to have a Reliable Loyalty rating, which 1.5 modifier brings the total to 162 RP. Finally, he intends for this force to be very active, and invests in Attendant JumpShips, which brings the total cost for the new unit to 324 RP. p. 353, NEW COMBAT COMMAND COST TABLE. "Players should be familiarize themselves with these rules prior to playing an ACS scenario." "Players should familiarize themselves with these rules prior to playing an ACS scenario." "Players use record sheets to track various types of information while playing Strategic BattleForce." "Players use record sheets to track various types of information while playing Abstract Combat System." Ref, TO p. 317, "Conventional Infantry Armor Table", says these are reversed. Which is correct? p. 141, Under Shielded Aerospace Smart Robotic Control Systems. "...As aerospace units, robotic units using a shielded aerospace SRCS are unaffected by ECM mounted on ground units. If the electronic warfare rules from Strategic Operations are in play (see pp. 110-113, SO), these robotic units receive the equivalent benefits of having a Guardian ECM suite, even if they do not actually possess such equipment. This, in turn, enables the shielded aerospace units to make use of the advanced ECM and ECCM rules found there." There is no mention of SA-SRCS units being immune to interference, as per the original rules on p. 157 Historical: Liberation of Terra I. Suggest including the sentence "...SA-SRCS equipped units do not suffer from interference like drones mounting ASRCS." See the post linked below from the Ask the Writers forum. As with most such augmentations, infantry units and other multi-person crews require all of their members to be equipped with the same full-body implants to receive the benefits. Also, when constructing a conventional infantry unit equipped with dermal armor myomer implants, reduce the crew requirements for all support weapons by 1 (2, if the unit is also equipped with the triple-strength myomer implant), and eliminate the encumbering effects (if any) for such weapons. The minimum crew any infantry weapon may be reduced to is 1. As with most such augmentations, infantry units and other multi-person crews require all of their members to be equipped with the same full-body implants to receive the benefits. Also, when constructing a conventional infantry unit equipped with dermal armor myomer implants, reduce the crew requirements for all weapons by 1 (2, if the unit is also equipped with the triple-strength myomer implant), and eliminate the encumbering effects (if any) for such weapons. The minimum crew any infantry weapon may be reduced to is 1. In addition, these platoons may carry up to 3 secondary weapons per squad (4 if the unit is also equipped with the triple-strength myomer implant). Platoons created under these conditions suffer no MP reduction, regardless of the number of secondary weapons carried. Remove entire second paragraph that begins "In addition to this,..." from this section. As with most such augmentations, infantry units and other multi-person crews require all of their members to be equipped with the same full-body implants to receive the benefits. Also, when constructing a conventional infantry unit equipped with triple-strength armor myomer implants, reduce the crew requirements for all weapons by 1 (2, if the unit is also equipped with the dermal armor myomer implant), and eliminate the encumbering effects (if any) for such weapons. The minimum crew any infantry weapon may be reduced to is 1. In addition, these platoons may carry up to 3 secondary weapons per squad (4 if the unit is also equipped with the dermal armor myomer implant). Platoons created under these conditions suffer no MP reduction, regardless of the number of secondary weapons carried. Primitive JumpShips use the rules and limits for standard JumpShips when computing their armor values (see p. 152, SO), but may not mount any of the advanced armor types such as improved ferro-aluminum, ferro-carbide, or lamellor ferro-carbide. This means that the maximum tonnage of armor a Primitive JumpShip may carry is equal to the ship’s SI tonnage, divided by 12 (rounded down to the nearest half ton). In addition to this, as with modern JumpShips, Primitive JumpShips will receive additional “weight-free” armor points per facing, based on their structural integrity values. Primitive JumpShips use the rules and limits for standard WarShips when computing their armor values (see p. 152, SO), and may not mount any of the advanced armor types such as improved ferro-aluminum, ferro-carbide, or lamellor ferro-carbide. This means that the maximum tonnage of armor a Primitive JumpShip may carry is equal to the ship’s SI tonnage, divided by 50 (rounded down to the nearest half ton). In addition to this, as with modern WarShips, Primitive JumpShips will receive additional “weight-free” armor points per facing, based on their structural integrity values. All armor mounted on a Primitive JumpShip—including the “free” armor provided by the vessel’s structural integrity value—must be multiplied by 0.66, rounding down to the nearest whole number. Reviewing the Advanced Aerospace Unit Armor Table let’s David know that he could assign a maximum of 83 tons of standard armor to his ship [1,000 (SI mass) ÷ 12 = 83.33, rounded down to 83]. He does not believe he’ll need anything close to that, and so decides he’s going to assign only 69 tons of Primitive armor. Before placing the armor, he first determines how much “weight-free” armor the Aquilla will receive in addition to this, which is 1 point of capital-scale armor per facing, for a total of 6 points [10 (SI) ÷ 10 = 1 per facing; 6 facings x 1 point per facing = 6 points]. David then multiplies the 69 tons of armor he has opted for by the standard Advanced Aerospace Unit Armor Weights for a 100,000-ton Inner Sphere JumpShip using standard armor, and finds that this yields 55 armor points [69 (armor tonnage) x 0.8 (standard armor for a 100,000 vessel) = 55.2, rounding down to 55]. He then adds the free 6 points to 55 for a total of 61. Multiplying this total armor value by the Primitive armor factor of 0.66, he finds he has 40 armor points to allocate [61 (non-Primitive armor points) x .66 (Primitive armor factor) = 40.26, rounding down to 40]. He thus assigns this armor as follows: 9 to the nose, 7 to each fore-side, 6 to each aft-side and 5 to the aft. This leaves a running total of 66,909 tons. Reviewing the Advanced Aerospace Unit Armor Table let’s David know that he could assign a maximum of 20 tons of standard armor to his ship [1,000 (SI mass) ÷ 50 = 20, no rounding required]. Even though this is a low amount, he decides he’s going to assign only 19 tons of Primitive armor. David then multiplies the 19 tons of armor he has opted for by the standard Advanced Aerospace Unit Armor Weights for a 100,000-ton Inner Sphere WarShip using standard armor, and finds that this yields 15 armor points [19 (armor tonnage) x 0.8 (standard armor for a 100,000 vessel) = 15.2, rounded down to 15]. He then adds the free 6 points to 16 for a total of 21. Multiplying this total armor value by the Primitive armor factor of 0.66, he finds he has 13 armor points to allocate [21 (non-Primitive armor points) x .66 (Primitive armor factor) = 13.86, rounding down to 13]. He thus assigns this armor as follows: 3 to the nose, 2 to each fore-side, 2 to each aft-side and 2 to the aft. This leaves a running total of 66,859 tons. David then adds 20 escape pods, at 7 tons a piece, for a total of 140 tons. All of this gives him a running total of 79,798. Finally, David takes the remaining tonnage and assigns it into 2 cargo bays of 10,101 tons each, with a single door for each cargo bay. David then adds 20 escape pods, at 7 tons a piece, for a total of 140 tons. All of this gives him a running total of 79,748. Finally, David takes the remaining tonnage and assigns it into 2 cargo bays of 10,126 tons each, with a single door for each cargo bay. Constructing a Primitive JumpShip (or WarShip) uses the standard rules given for WarShip construction in Strategic Operations (see pp. 142-161, TO), with the changes outlined below. Constructing a Primitive JumpShip (or WarShip) uses the standard rules given for WarShip construction in Strategic Operations (see pp. 142-161, SO), including determining costs, with the changes outlined below. Aside from the primitive prototype versions of the K-F Boom and Docking Collars found under Primitive Prototype Equipment (see pp. 117-120), the costs for all of the primitive forms of the various aerospace unit types that are larger than aerospace fighters (including small craft, DropShips, JumpShips, space stations, and WarShips) may be computed as normal for those unit types. Even though primitive core aerospace components, such as jump drives and sails, are substantially different from their modern forms, many of these feature weight modifications and such that impact costs by default, and thus require no additional modification. Additionally, for cost purposes, all Primitive K-F jump drives are treated compact-core drives, rather than standard-core drives. Aside from the primitive prototype versions of the K-F Boom and Docking Collars found under Primitive Prototype Equipment (see pp. 117-120), the costs for all of the primitive forms of the various aerospace unit types that are larger than aerospace fighters (including small craft, DropShips, and space stations) may be computed as normal for those unit types, with Primitive JumpShips computed as modern WarShips. Even though primitive core aerospace components, such as jump drives and sails, are substantially different from their modern forms, many of these feature weight modifications and such that impact costs by default, and thus require no additional modification. Additionally, for cost purposes, all Primitive K-F jump drives and components are treated as modern WarShip drives and components, including K-F drive support systems, rather than modern JumpShip drives and components. Cut the following sentence - "In terms of game rules, Common items may be considered Tournament Legal." p. 41, "Fire Control and Targeting Systems"
In the Apollo MRM FCS line, replace the "—" in the "Common" column with "3097" and add "330, TO" to the "Page Reference" column (erroneously left blank atm). the NARC's return date is listed as 3055(FS/LC)* but the Common date is 3049. Text Pg 95 does not list return date. ferro-fibrous armor would be 600,000 C-bills (60,000 x 10 = 750,000). ferro-fibrous armor would be 600,000 C-bills (60,000 x 10 = 600,000). This Initiative modifier is not cumulative if more than one superheavy tripod ’Mech is present. 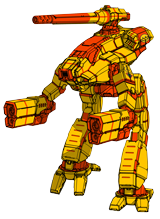 This Initiative modifier is not cumulative if more than one superheavy tripod ’Mech is present; in the case of multiple initiative bonuses due to multi-pilot setups (such as the force also having a cockpit command console), only the highest bonus applies. "If the unit does have UMU or jump jets of any kind,..."
"If the unit does not have UMU or jump jets of any kind,..."
On Pg. 193, it states "For BV purposes, treat a Superheavy ’Mech’s Heavy-Duty Gyro as a standard Gyro." On Pg. 197, it states "Treat as Heavy Duty Gyro for BV purposes"
The two statements contradict each other. Based on the fact that pg. 193 called it a "heavy-duty gyro", and the fact the cost for this superheavy gyro is the same cost as a standard heavy-duty gyro (pg. 223), I believe pg. 197 is correct. Update pg. 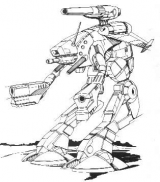 193 to read "For BV purposes, treat a Superheavy ’Mech’s Gyro as a Heavy-Duty Gyro." Medium Re-Engineered Laser lists Heat Std (Aero) as "6 (67)"
Ground-launched Santa Ana and Peacemaker are both stated as being able to be mounted on Support Vehicles, but at 200 and 260 tons, this is only possible on larger Naval Support Vehicles, Trains and Air Ships. This is dramatically inconsistent with even the technology of the 1980s. I suggest that the weights of these weapons should be reduced to allow mounting on wheeled support vehicles smaller than 160 tons, as built with technology consistent with the Terran Hegemony of the 2200s-2400s. In addition; I think there should be a mountable version of the Alamo, as well; suitable for wheeled support vehicles of 80 tons or less, as built with 2200s Terran Hegemony tech. Under "ProtoMechs", change step 6 to read: "Determine a ProtoMech Point's Skill by following Step 1G." Add Step 7: "Follow Step 1H to determine PV. Divide the result by two (round up), instead of three (round normally)." The BV for the Centurion Weapon System is listed as 750. This seems exceptionally high, and contradicts the dev level errata in the Interstellar Players 2: Jihad Conspiracies thread, which says the BV is 190.